The first offer a woman gets when divorce negotiations begin is usually the best. Considering that once the two sides have lawyered up, considering that "discoveries" can go on for some time, considering the time and effort on the part of both parties to properly disclose their finances to opposing counsel, it is somewhat surprising to read such a statement. However, a little investigation shows that this idea is not some new found idea that just coincidentally was uncovered by a divorce lawyer. 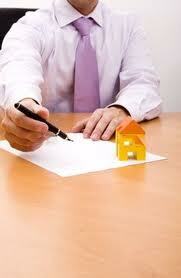 Experts in the area of real estate sales seem to be very much in the known and talk about it over and over again. There’s an old real estate rule of thumb that the first offer you receive is usually the best one. I’ve run into this with several listings where the seller received an offer early on, made a stiff counteroffer back to the buyer and the buyer headed for the hills. In some cases, as much as 24 months and several price reductions later, another offer finally came in only to be significantly lower than the first buyers’ offer. I have sold or been involved with hundreds of Real Estate transactions over the years, and more times than not, the first offer to come in is usually the best offer. When a seller receives an offer on their home, it may be less than expected or desired. After negotiating, Seller and Buyer cannot come to terms, the deal dies and the search for another buyer resumes. More times than not, offers that follow are incrementally less than the first offer, and ultimately the seller wishes they had made the first offer work. Remember; don’t step over dollars to save pennies. The web site Chicago Divorce in the article "Getting Your Spouse to Settle Out of Court: Who Should Make the First Offer?" discusses the idea of first offers whether making the offer or accepting the offer. There are now two professionally accepted schools of thought regarding the advisability of making the first offer. [View #1 warns] against being the one to make the first offer during divorce negotiations, strongly advising us to wait for the other side to go first. This point of view insists that the party making the first offer rings a bell that can never be un-rung, that it shortens the playing field, and that it sets a limit on the best deal the offer-making party can ever expect to receive. [View #2 believes] that the party making the first offer actually gains a superior bargaining position. They feel the first offer indicates strength and confidence and anchors the settlement talks in the offer-making party's chosen bargaining zone. Never say yes to a first offer, even if you think it's a good deal. Doing so will leave your partner with thoughts that they offered too much. You want them to feel they made a good deal and not be kicking themselves later. Do not say no too quickly. Show that you are considering their position by allowing sufficient time to pass before you respond. If you want your spouse to give serious thought to what you want, you have to give at least the impression of giving serious thought to what your spouse wants. In the Harvard Business School article "When to Make the First Offer in Negotiations" Adam Galinsky, assistant professor at Northwestern University's Kellogg Graduate School of Management, states, "Substantial psychological research suggests that, more often than not, negotiators who make first offers come out ahead." He talks about how a first offer has an "anchoring effect", that is, subsequent decisions and offers will be compared against that first offer. By making the first offer, you will anchor the negotiation in your favor. ... How extreme should your first offer be? My own research suggests that first offers should be quite aggressive but not absurdly so. Many negotiators fear that an aggressive first offer will scare or annoy the other side and perhaps even cause him to walk away in disgust. However, research shows that this fear is typically exaggerated. In fact, most negotiators make first offers that are not aggressive enough. Galinsky talks about combating first offers, that is, re-anchoring the negotiations with different numbers and a new approach to settlement. However, he does go on to an important point about the negotiations in general for both parties. Remember that you want to reach an agreement that's profitable to you and that satisfies the other side. A satisfied opponent will be more likely to live up to the terms of the agreement and less likely to seek future concessions or revenge. Raoul Felder wrote: The first offer a woman gets when divorce negotiations begin is usually the best. I am assuming that this could be applicable to a man, that is, the woman makes the first offer. The above real estate agents give great credence to a rule which if true and if accepted by both parties, could reduce the time of negotiations and the anguish which accompanies the process of determining the final settlement. The old saying "penny wise, pound foolish" refers to paying attention to small details while missing the big things and as Lisa Boutilier of Royal Lepage warns, "Don’t step over dollars to save pennies." If the first offer is actually the best one, what else is there to negotiate? The web site Chicago Divorce advises to not say yes to the first offer, but to not say no too quickly. While from a negotiating position, this advice makes a great deal of sense, it reminds me that a settlement is not necessarily based on some hard and fast objective formula where the law divvies up the assets. There's an aspect of negotiations which seems like some sort of a game: whoever blinks first loses. Galinsky does add an important caveat to all negotiations. Any party wants to negotiate a deal which is profitable to them; that goes without saying. However, the negotiations should or must satisfy the other side. You want the other party to respect the agreement and not renege on the deal. After all, who doesn't want a peaceful divorce? Whatever the outcome, you get something; you give up something. The key to making it work, to really finding peace in any of this is acceptance. This may be a good moment to recite the Serenity Prayer. Raoul Lionel Felder (born in Brooklyn, New York, May 13, 1939) is an American lawyer and matrimonial attorney. Felder has written several books and has published numerous articles related to matrimonial law, politics and social issues. Felder is listed in New York Law Journal's 100 Most Powerful Lawyers in America and in all editions of Who's Who in America and Who's Who in American Law. Raoul Felder, a take-no-prisoners divorce attorney, draws from his experience to show readers how to avoid an acrimonious divorce and move on with life. Getting Your Spouse to Settle Out of Court: Who Should Make the First Offer? Common wisdom for negotiations says it's better to wait for your opponent to make the first offer. In fact, you may win by making the first offer yourself.